Generally, a godparent-godchild relationship is characterized by spiritual or moral advising to the child and his or her family, and godparents' rights to child custody are not often discussed as a possibility. However, some states, such as Virginia, do have fairly relaxed standing requirements for who may petition a court for child custody. 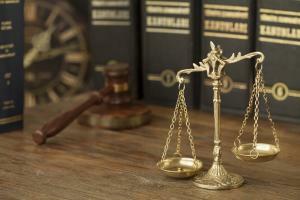 Standing refers to the right to bring a child custody suit in the first place. Without the designation of godparent, you would have a more difficult time establishing the standing necessary to be involved in the custody suit. But in Virginia anyone with a legitimate interest in the child has the right to participate in the question of custody and visitation, and godparents may be deemed by the court to have such an interest. Godparents' rights do not come first, however. The natural family, i.e. the parents and grandparents, have priority. Thus, it's likely that a godparent will be awarded only visitation rights as opposed to custody. To overcome the natural family presumption, you will need to demonstrate to the court why custody with a godparent is in the child's best interest. For example, if you can show that you have been continuously involved with the child since the baptism, and that the grandparents have had virtually no contact with the child, you may be able to make the argument that stability for the child weighs in favor of awarding custody to you as the godparent. If you have been an active godparent in a child's life, and you have always understood your godparent role to include providing for the child in the event something happens to their biological parents, you may want to take a proactive approach to child custody issues. Talk to the child's parents about making provisions for a guardianship in their will. If you are properly appointed guardian of the child and you remain involved in the child's life, you will have a better chance of being awarded custody in the event that such a dispute may arise.